4: multi-functional art flower rack, decorate your green home. 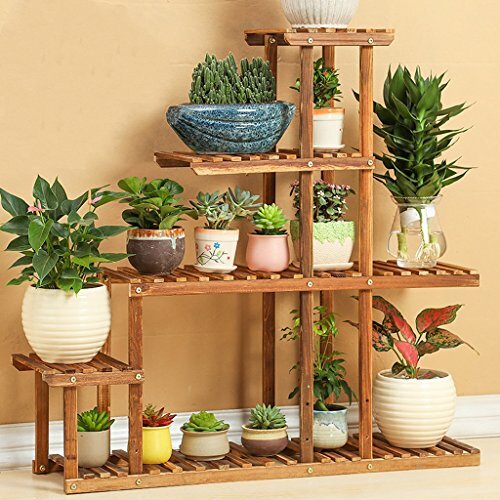 Multi-storey flower rack, high and low design, more layered, more space, able to place enough pots of plants. Carbonized wood to hard, anti-corrosion anti-rain, metal screws fixed, more stable, durable. Comes with a caster design, mobile convenience, so that your flower rack to become a small mobile home garden.